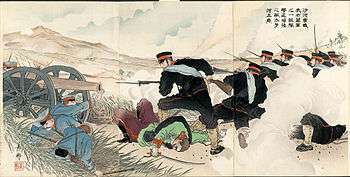 A Ukiyo-e print of the Japanese Imperial Guard driving back Russian infantry at the Battle of Shaho during the Russo-Japanese War in 1904. Original headquarters of the Japanese Imperial Guard, now part of the National Museum of Modern Art, Tokyo. 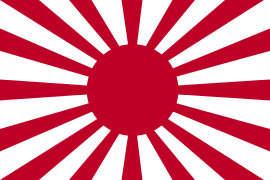 By 1885 the Imperial Guards was one of seven divisions within the Imperial Japanese Army. Each division consisted of four regiments containing two battalions. The Imperial Guard division was based in garrisons around Tokyo but it recruited nationally. The Imperial Guards saw little action in Manchuria during the Sino-Japanese War, but were used to invade Taiwan in May 1895 following the proclamation of the Republic of Formosa. The division suffered relatively low battle casualties, but lost a significant proportion of its strength from malaria and other diseases. By the end of the campaign it was down to half strength. 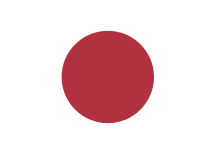 After the Russo-Japanese War in 1905, a further Guard Brigade was formed from indigenous Formosans. In 1920 the Guards Cavalry Regiment, Guards Field Artillery Regiment, Guards Engineer Battalion, Guards Transport Battalion, plus other Guards service units were added. From 1937 to 1939 the Guards Engineer Battalion was expanded into a regiment along with the Guards Transport Battalion. In September 1939, the division was split into the 1st and 2nd Guards Brigades. The 1st Guards Brigade, which contained the 1st and 2nd Guards Infantry Regiments, the cavalry regiment, and half of the support units, was transferred to South China. Here it became known as the Mixed Guards Brigade. In October 1940, it joined other Japanese units occupying French Indo-China. In April 1941 the Mixed Guards Brigade returned to Tokyo but it did not rejoin the Imperial Guards Division. The 2nd Guards Brigade, which contained 3rd and 4th Guards Regiments, also went to China. In 1940, it went to Shanghai before being posted to Hainan Island. In June 1941, the 5th Guards Infantry Regiment joined the 2nd Guards Brigade becoming the Imperial Guard Division again. It later saw action in the Battles of Malaya and Singapore with Tomoyuki Yamashita's 25th Army. All military Imperial Guard Divisions were dissolved at the end of World War II. However, in 1947, the "Imperial Guard" name was revived as part of the National Police Agency. This new organisation would serve in the National Public Safety Commission and protect the Imperial Family of Japan. In Malaya and Singapore, the Imperial Guard was involved in several notorious Japanese war crimes such as the Parit Sulong Massacre and the Sook Ching massacre. 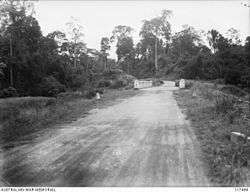 Lieutenant General Takuma Nishimura, who was sentenced to life imprisonment by a British military court in relation to the Sook Ching killings, was later convicted of war crimes by an Australian Military Court in relation to the Parit Sulong massacre. He was executed by hanging on June 11, 1951. Until 1939, the Cavalry of the Imperial Guard wore a French style parade uniform consisting of a dark-blue tunic with red Brandenburg braiding, a red kepi and red breeches. The red kepi had a white plume with a red base. Prior to the general adoption of khaki by the Japanese Army during the Russo-Japanese War (1904-1905), an all-white linen uniform had been worn in hot weather. The Infantry of the Imperial Guard wore a dark blue uniform with white leggings for both parade and service wear until 1905. It was distinguished from the uniform of line infantry by a red band and piping on the peaked service cap (instead of yellow). Officers wore a dark blue tunic with five rows of black mohair frogging and dark blue breeches with a red stripe down each seam. Following the adoption of a khaki service dress, the Guard Infantry wore this on all occasions, although officers retained the blue and red uniform for certain ceremonial occasions when not parading with troops. In the field, the army's standard khaki uniform was worn by all Imperial Guard units from 1905 to 1945. Guard units were distinguished by a wreathed star in bronze worn on the headgear, in contrast to the plain five pointed star worn by other units. Seal of the Imperial Guard Headquarters of the National Police Agency. 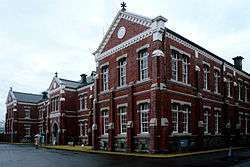 The Imperial Guard Headquarters (ja:皇宮警察本部, Kōgū-Keisatsu Honbu, Palace Police Headquarters) was created in 1947 under the control of the Home Ministry from the Imperial Household Ministry. It came under the aegis of the National Police Agency of Japan in 1954. The agency consists of over 900 security police personnel who provide personal security for the Emperor, the Empress, the Crown Prince and other members of the Imperial Family. 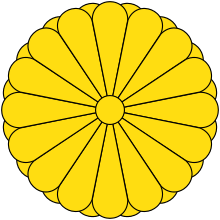 The agency is also responsible for protecting imperial properties, such as the Tokyo Imperial Palace, Kyoto Imperial Palace, and Shōsōin Imperial Repository at Nara and the Imperial Villas of Katsura and Shugakuin in Kyoto, Hayama, Kanagawa and Nasu, Tochigi. The Imperial Guard also maintains a 14-horse mounted police unit for use by guards of honour at state ceremonies. In addition to their security duties, the Imperial Guard is also responsible for fire-fighting within the grounds of the Palace, and maintains fire engines and trained staff for this purpose. The NPA Imperial Guards wear a dark blue or a blue-grey police uniform with white gloves while on duty. They also wear white pistol belts, lanyards, helmets, boot laces or leggings. The Guards Band and Mounted Band, respectively, are the official marching bands of the Imperial Household. An Imperial Guard Music Band marching through Tokyo in the 1950s. Mounted Imperial Guard police officers in the 1950s. Imperial Guards on foot patrol around the Imperial Palace in Tokyo. Mounted Imperial Guards during a presentation of credentials ceremony in Tokyo. An Imperial Guard sentry at the Seimon Ishibashi bridge outside the Imperial Palace. An Imperial Guard patrol car within the palace gardens. Wikimedia Commons has media related to Imperial Guard Headquarters. ↑ 7th Battalion The Cameronians Archived December 15, 2005, at the Wayback Machine. ↑ "Public Safety Commission System and Police Activity Support". Japanese National Police Agency. Archived from the original (PDF) on 2012-02-15. Retrieved 2012-02-15.